This ChromeOS Guide provides information on how to best use your ChromeBook. An overview of many different features are discussed and explored. Each link will take you to a page with step-by-step instructions on how to perform the designated activity on your ChromeBook. Following these Chromebook tips will quickly make you a power user. Connect your Chromebook to wifi – You can connect to a wireless network (commonly known as Wi-Fi networks) to access the Internet. Check if there are Wi-Fi networks near your location by clicking the network icon in the lower-right corner of your screen. Just click a network name to connect to it. Select or change your account profile picture – To help you quickly identify the account you want to use, usernames and pictures are shown by default for the accounts listed on the main sign-in screen. When you sign in to an account for the first time on your Chromebook, you’ll be prompted to choose a picture to represent your account. If you are the owner of the account, you can choose to hide such account details on the sign-in screen. Different components of the Chrome browser – The ChromeOS web browser has many powerful features. Understanding Tabbed browsing – You can easily rearrange the tabs at the top of your browser window. Perform a search using the Omnibox – With Google Chrome on your computer or mobile device, you can enter your search words right in the address bar (also called the “omnibox”). As you type, you’ll see suggested phrases or URLs to complete what you’re typing. Pin a Chrome App to the Shelf – Place the apps you use the most on the shelf at the bottom of the screen. Right-click the app and select Pin to shelf. To remove an app from the shelf, right-click the app and select Unpin. Perform a search using the Search Key – To search the web, the Chrome Web Store, and your Google contacts, use the search box in the launcher. Maximize the Chrome browser window – To quickly maximize your window, just click the window control button . You can also double-click the area between your tabs and the button. Minimize the Chrome browser window – Click the window control button and drag the window downward to minimize it on the launcher, or to the left and right to dock it to the side of the screen. Manually resize the Chrome browser window – Place your cursor on the edges of your current window to manually resize your window. You can drag the border of the window to make it wider or narrower. Manage the Chrome browser windows and tabs – You can control the way windows and tabs show up on the screen by changing their size and how they’re organized. How do Panels work – Some apps and extensions are able to operate from the launcher instead of within a new tab in Google Chrome. Use of the Touchpad and gestures – If you’re using a Chromebook, use the touchpad to move the pointer and select items on the screen. Here are some gestures and actions supported by the touchpad. Status Area and Menu -At a glance, the status area allows you to see all your essential settings–network connection, battery life, and the account you’re using. You can also quickly change your network connection, keyboard input methods, volume, and select the audio output directly from the panel. Lock and/or Sign out of the Chromebook – Use the Sign out option or click on the lock icon to make sure no one messes with your account. Explore the Help options via the “?” in the Status Menu – Click the question mark icon to open the Get Help app. You’ll find a searchable database of helpful tutorials and troubleshooting information for your Chromebook, as well as support contact information. Keyboard Shortcut Keys and their functions – To help you find things quickly, your Chromebook keyboard has special shortcut keys, including a dedicated search key. The shortcut keys make it easy to get around online and control your Chromebook, and the search key lets you search your apps and the web at the same time. Explore the Chromebook keyboard shortcuts – Keyboard shortcuts are combinations of keyboard strokes and clicks that you can use to perform specific actions, such as taking a screenshot. Knowing some of the shortcuts listed below can help save you time. Pair and connect to a Bluetooth device – Bluetooth technology lets you connect devices wirelessly over short distances. To use Bluetooth accessories with your Chromebook, first check if your Chromebook supports Bluetooth. You’ll then need to pair it with the accessory. Connect to an external monitor/display – Depending on your Chromebook model, you can connect an external monitor using an available HDMI, DisplayPort, DVI, or VGA port. The instructions included with your Chromebook will tell you what type of adapter you need. Chrome Web Apps – With apps for Google Chrome, you can do things like create documents, edit photos, and listen to music. They’re like desktop software programs you install on your computer. The main difference is that you use apps directly within your browser. 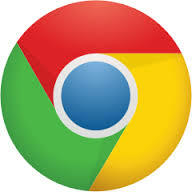 Chrome Extensions – Extensions are extra features and functionality that you can easily add to Google Chrome. By using extensions, you can customize Google Chrome with features you like, while keeping your browser free of things that you don’t use. Install/Add an additional App from the Chrome Web Store – You can find resources for your Chromebook at the Chrome Web Store. There, you’ll find both apps and extensions developed by Google and other web developers. It takes mere seconds to add items to your Chromebook and you don’t have to deal with any complicated installation process. Your apps can be found in your apps list, while extensions normally appear in the browser window. Uninstall/Remove an App or Extension from your Chromebook – If you find that you no longer need a particular app or extension, you can easily remove it from your Chromebook. Using the Files App – You can access the files stored on your Chromebook and the ones you’ve stored on Google Drive by using the Files app. You can also use it to open files saved on an external storage device connected to your Chromebook. Utilize the Files App to Open, Save, or Delete files – You can access files like documents, PDFs, images, and media on your Chromebook, Google Drive, or an external hard drive with the built-in Files app. See a list of file types that work on your Chromebook. Play a locally stored video or audio file on the Chromebook – By default, your Chromebook uses the built-in media player to play audio and video files. To play a file, simply double-click an audio or video file in your Files app. Take a photo using the Webcam – You can take photos with your Chromebook’s built-in camera. Edit a locally stored image on the Chromebook – Use the built-in image editor on your Chromebook to easily touch up photos and other images you’ve saved. Share your favorite images with family and friends, directly from the editor. Manage Photos using the Google Photos App – The Google Photos app is pre-installed on your Chromebook, making it easy for you to upload and share photos from your camera. Different file types and external devices that are supported on a Chromebook – Chromebooks supports the following files types, external devices, and peripherals. Viewing and editing an Office file within Google Drive – You can open and edit Microsoft Office files using Google Docs, Sheets, and Slides on your Chromebook. View a PDF on the web using the native Chrome PDF viewer – Google Chrome has a built-in PDF viewer enabled by default. When you click a PDF link on the web, the file opens directly in your browser window. Perform a Chromebook OS update – Each time you turn on or use your Chromebook, it automatically checks for updates and installs them. Your Chromebook also lets you know when new updates are ready so that you’ll always have the latest version of the operating system. Print a page – You can print from Chrome on your computer or mobile device. Demonstrate knowledge of the ways to print via Google Cloud Print – In order to print using the Google Cloud Print service, first connect your printer to the service. Google Cloud Print can print to either a Cloud Ready printer that can connect directly to the Internet or a classic printer that is plugged into a Windows or Mac computer with Internet access. If you are using a Chromebook and you attempt to print, you will be prompted to set up Google Cloud Print to connect a printer. Control who can use your Chromebook(for non-managed devices) – Share your Chromebook with family and friends. If you are the owner, you can manage sign-in permissions on the Settings page to control who can use it. You can make the permissions as flexible as you’d like to allow anyone to use your Chromebook, or as detailed as you need to allow only certain people to use it. Difference between and managed and non-managed Chromebook – A managed Chromebook is set up and maintained by a school or company. If you see the managed icon in the status area in the lower right-hand side of your screen when you’re signed in to your Chromebook, your device is managed. Explore the Touch screen tips(for Chromebooks with touchscreens) – You can use gestures if you have a Chromebook with a touch screen. Demonstrate knowledge of how to use the Chromebook Recovery Utility – If you need to recover your Chromebook, you can use the Chromebook Recovery Utility to create recovery media and get your Chromebook working like new again.